Are you tired of spending all day cleaning your home? What if you could get your weekends back? That’s Clean Maids is a referral agency with a mission to help you automate your life and give you the gift of free time, the thing you need more than anything! We are proud to call Spring and the surrounding areas our home! Our entire community has been built on hard work and firm belief that doing the right thing and helping others is the only way of life. To deliver a high quality maid service and customer experience and make our community a better place, we make sure to abide by these principles every step of the way. Book a cleaning with That's Clean Maids and make use of top-notch Houston cleaning services. It's time to get all that thankless cleaning out of the way! Keeping your home clean is a nightmare, and a never-ending one at that. Not anymore, thanks to a customized maid service cleaning package that you can design! Plus, we offer flat rates, cleaning on hourly basis and more. We don't require you to sign a contract and you can cancel anytime! Windows, baseboards, carpets? 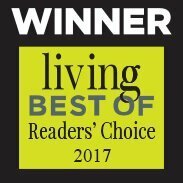 The best home cleaning service in the business has got you covered! Customized cleaning is all the help you'll ever need! Spring is a great community but we have to admit, we absolutely love The Texas Crawfish Festival. Who doesn’t like crawfish and great music, right? Let us help you get all those pesky house cleaning tasks our of the way. Nobody wants to waste their free time scrubbing, vacuuming, and mopping the floors. Well, you don't have to! We'll match you with the best in the cleaning business and you can finally take some time off! Plus, you get to come back to a peachy clean home! How does That’s Clean Maids work? 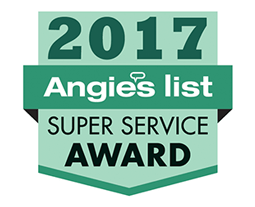 We begin saving you time even before the home cleaning Spring TX superstars you're bound to love come knocking on your door. Our home cleaning service online booking form is simple and user-friendly, our flat-rate pricing is transparent and we charge for any services only after the cleaning. We know how busy you are and want to give you a chance to schedule the best house cleaning services Spring TX can offer without the hassle. We'll happily do most of the work of finding trusted cleaners for you! Now you’ll be able to explore every corner of Old Town Spring, keeping an eye out for awesome events and festivals such as Autumn Art & Texas Wine Festival. Whether you need one-time or recurring cleaning services in the Woodlands TX, a trusted maid service in Tomball TX, or you are looking for the most reliable cleaners Katy TX can provide, That’s Clean Maids is your go-to house cleaning referral platform in the wider Houston TX area. The cleaners we dispatch to your home offer basic and deep cleaning, carpet cleaning, move in/out cleaning services, and tile and grout cleaning. Their house cleaning services in Spring TX don’t end there, as you can tailor your cleaning to match your specific requirements. Your cleaners are available Monday to Saturday, 8 a.m. - 7 p.m.
Punctual, personable, reliable and skilled, your house cleaning Spring TX professionals will make your home neat and clean in no time. Their attention to detail, efficiency and passion for cleaning will leave you in awe. You will never have to worry about cleaning again! And you don’t even have to provide any cleaning supplies, your cleaners will come fully equipped. Your protection is one of our top priorities and that is why your cleaners are guaranteed to treat your house and personal belongings with respect and attentiveness. All the cleaners are insured, so rest assured you are fully protected in case of accident. 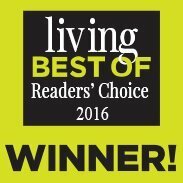 We team up only with the best home cleaning Spring TX superstars! They have all undergone extensive training, as well as our thorough security and vetting process, which includes background and reference screenings, phone and in-person interviews. 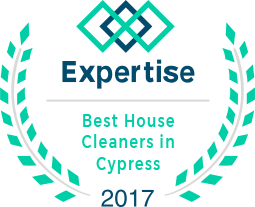 What’s more, all your house cleaning Spring TX experts are monitored to make sure that they uphold to our high quality standards. We rate them for every cleaning based on the data gathered from a customer satisfaction survey we send to clients. Our goal is to cooperate with the very best cleaners Spring TX can offer so we encourage you to share your impressions with us. Your cleaners also do maid cleaning services in Cypress, house cleaning services Rosenberg, carpet cleaning services Pearland, house cleaning services in Cinco Ranch and move in cleaning services in Missouri City areas. We value your trust and loyalty. One of our strongest assets are unparalleled customer care and bringing you trusted cleaners who perform the most efficient home cleaning services Spring TX can provide. We want you to be happy with your home so we back every cleaning with our 100% satisfaction guarantee. If anything is below par, let us know straight away and your crew will come back to re-clean the area you are not completely satisfied with – no questions asked, at no additional charges! Here at That’s Clean Maids, we aim to resolve all customer complaints within 48 hours. Want us to send the same team every time? Sure! Would you prefer another crew to take care of your house? Not a problem. We go the extra mile to meet your needs and requests, and exceed your expectations. Our goal is give you more time to enjoy a better quality of life – guilt-free! Your home cleaning Spring TX go-getters will keep your home spick and span in the meantime! Let us take care of the cleaning arrangements so you can focus on more important things. We always go the extra mile to ensure that each and every person referred to you by That’s Clean Maids is not only insured but also proven worthy of our trust, and yours. Your professional cleaners have also passed several background checks, interviews, and screening processes. This type of tight security extends to our payment options as well, with each transaction being SSL encrypted. You can make and manage payments via a simplified, yet highly secured online system. The teams referred to you by That’s Clean! Maids are no ordinary teams of cleaners; they are experienced in all home-related cleaning services with the drive and knowledge to tackle even the most challenging of cleaning needs. If you want an immaculate house, you need to leave it in the trusty hands of a skilled cleaner. Many loyal customers were happy to rate their work as excellent quality cleaning service, and we’re sure you will too! In order to help you make use of the type of cleaning services you need, we’d like to know just what it is you’re looking for. Communication on your part, and cooperation on ours, is the difference between a regular house cleaning service, and one that offers referrals which guarantee you'll get the best cleaning results at your convenience. You can customize your cleaning schedule to get exactly what you need, and call or email us with any questions regarding the services. For all you Spring, Texas homeowners, the undeniable cleaning excellence of That’s Clean Maids is a 60-second booking away!